The chipping away at Canada continues apace. Radio Canada International’s shortwave service was, quite literally, Canada’s voice to the world for nearly 70 years — through wars, through triumphs and disasters, through it all. It has been part of our history. And, now, it’s gone. …[T]he service became a means by which we could subtly promote democracy, and the Canadian way of life, in far-flung corners of the world. 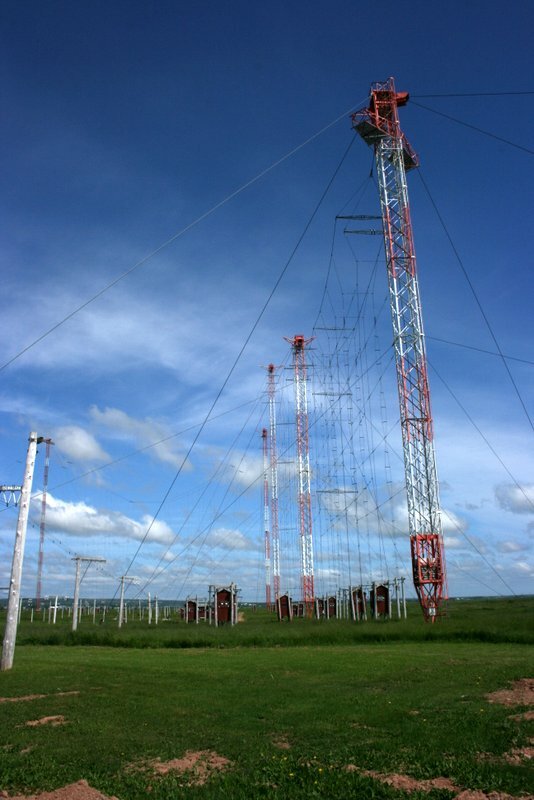 In places like China, Russia and North Korea — where the Internet can be censored, but shortwave can’t be — RCI was heard by many. In post-Communist Eastern Europe, shortwave radio receivers are still the way in which many receive news from the outside world. I know this from experience. When I was an election observer in Bosnia in 1996, billeted with a Serbian family, I was glued to my tiny shortwave radio at night. I’d listen to the Stanley Cup playoffs, and the news from back home, and I was always pretty grateful that RCI existed. Our allies — the U.S., Britain, Germany, France and Australia — have all expanded their national shortwave service. In Canada, meanwhile, we’ve killed it. The Harper regime, which has taken a chainsaw to the CBC in recent months, is ultimately to blame for this short-sighted decision. They will say that government needs to tighten its belt, and they’re mostly right about that. But getting rid of RCI’s shortwave service is pennywise and pound foolish. In all, keeping RCI on-air would have cost about 35 cents a year, per Canadian. In comparative terms, it’s as much as it cost taxpayers to rent a couple of panda bears from China for zoos in Toronto and Calgary. Or, it’s a fifth of the cost of building gazebos in Tony Clement’s riding and fake lakes for the G8/G20 summit. Meanwhile, KPMG did a study on RCI, and found it was the most efficient — that is, cost-effective — broadcaster of its type in the world. Why should you care? Does it matter? It matters. Billion-dollar fighter jets and super jails, before a pittance for a radio station that promoted democracy and decency around the world? The idiots who came up with this outrageous decision should all be fired. This entry was posted in Broadcasters, News and tagged CBC Cuts, Radio Canada International Closure, Radio Canada International Cuts, RCI Closure, RCI Cuts, Shortwave Radio on June 29, 2012 by Thomas. The North Quebec service will continue to operate until all five FM relays are in service to replace the shortwave broadcasts on 9,625 kHz. So far, only two of the five relays are in service. Again, this schedule is subject to change and the October 31st date could be altered depending upon when VOV, NHK and KBS decide to either discontinue their relays or broadcast them from elsewhere. The implication is that the North Quebec service on 9,625 kHz will be removed, perhaps even without warning, as soon as the remaining three local FM relays are in service. This entry was posted in Broadcasters, News, Schedules, Schedules and Frequencies and tagged Radio Canada International, Radio Canada International Sackville Schedule, rci sackville, RCI Sackville Closure, RCI Schedule, Sackville Closure, Shortwave Radio on June 28, 2012 by Thomas. My apologies that we could not spend our final hour together as planned. Once again, I thank you all for your undying love, support, insight, graciousness and generosity. You are wonderful and magical. I shall never forget you. Be well, everyone. Au Revoir and peace! 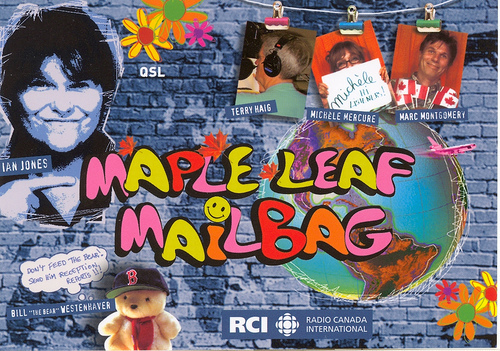 I should note that, the Maple Leaf Mailbag was one of my favorite RCI shows to catch on shortwave. It was informal, quirky, interactive and always fun. It also had a very strong international listenership. Terry has been an excellent sub, but admittedly, I’ve really missed hearing my good friend Ian Jones on the show. This entry was posted in Broadcasters, Recordings, Shortwave Radio and tagged Ian Jones, Maple Leaf Mailbag, Maple Leaf Mailbag Final Episode, MLMB, Radio Canada International Cuts, RCI, RCI Cuts, Terry Haig on June 27, 2012 by Thomas. Noted Burmese opposition leader, Aung San Suu Kyi, visited the BBC World Service last week. Her visit served, in part, to thank them for their broadcasts, which became a lifeline of information for her during her fifteen-year imprisonment in Burma between 1995 and 2010. Shortwave radio connected her with the outside world in the solitude of her prison years. Ms Suu Kyi’s schedule on Tuesday – her 67th birthday – involved a visit to BBC World Service staff at the new Broadcasting House in central London. “Because of the BBC, I never lost touch with my people, with the movement for democracy in Burma and with the rest of the world. For that, I would like to thank all of you very sincerely,” she said. But Ms Suu Kyi also said she was “a little sad” about changes to programming on the World Service. “I feel that the BBC World Service is not as versatile as it used to be – or perhaps I’m not listening at the right times,” she said. “It’s not what it used to be,” she said. 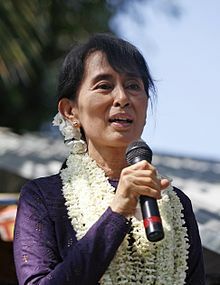 During her four-day tour of the UK, Ms Suu Kyi is due to meet members of the Royal Family and address the UK Parliament. Of note as well was the praise she showered on veteran British DJ, Dave Lee Travis, whose music request program she called “a jolly good show” for making her world “much more complete. I can relate, at least to some degree: you see, music, it seems, still delights listeners on shortwave. This entry was posted in Broadcasters, Current Events, News and tagged Aung San Suu Kyi, Aung San Suu Kyi criticizes BBC World Service, BBC World Service, BBC WS, Shortwave Radio on June 27, 2012 by Thomas. 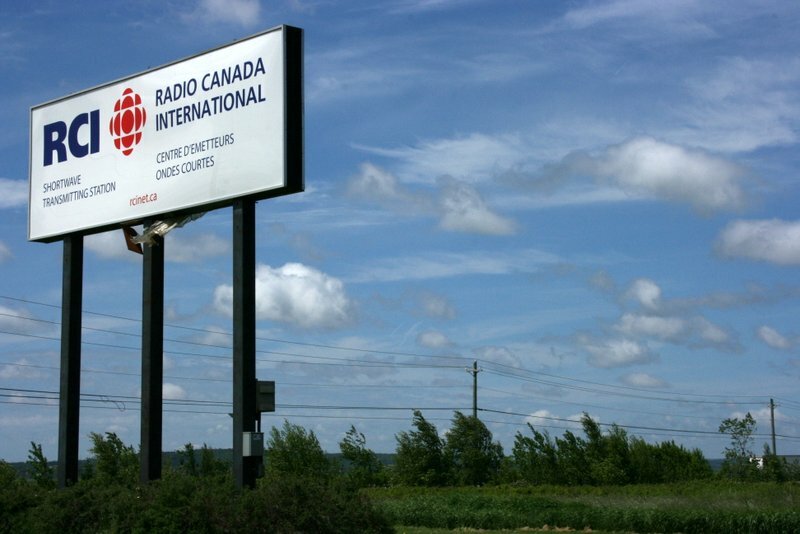 Radio Canada International journalist Marc Montgomery broke down in tears during his farewell speech to listeners as RCI ended its 67-year history of shortwave broadcasts yesterday. June 22, 2012, was the last day of The Link, RCI’s flagship English language daily radio show, which Marc hosted from its very inception in October 2006. This entry was posted in Broadcasters, Current Events, Videos and tagged Marc Montgomery, Radio cana, Radio Canada International Cuts, RCI Cuts, Shortwave Radio, The Link on June 27, 2012 by Thomas.